AP SCERT INSPIRE Award Manak 2018-19 Opening of Online system for receipt of nominations extended up to 31-07-2018 submission of nominations for the year 2018 as per Rc.No:112/AP INSPIR Award MANAK Opening of online system for receipt of nominations extended up to 31-07-2018 Submission of nominations for the year 2018-19 as per Rc.No:112/AP INSPIR MANAK Award Opening of online system for receipt of nominations extended up to 31-07-2018 as per Rc.No:112. 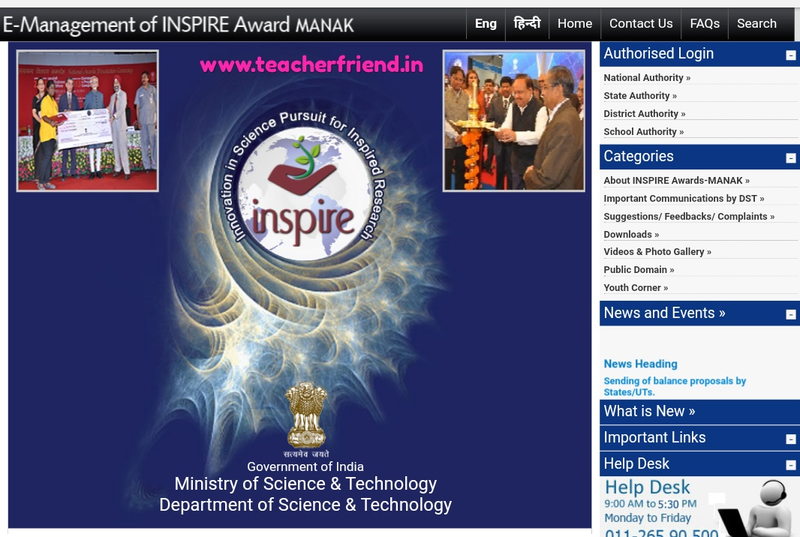 AP SCERT, Amaravati - INSPIRE MANAK Awards 2018-19 Opening of Online system for receipt of nominations extended up to 31-07-2018 - submission of nominations for the year as per Rc. No.112/M&S/SCERT/2018 Dated:17-07-2018. Mailed received from NIF India. a Honey bee network Institution and autonomous body of the Department of Science & Technology. (iovemment of India. Procds. Rc.Ni, 1 1275 ER 1. M&S.2018. of Director. SCER dt: 04.-07-2018. AP INSPIR MANAK Award Opening of online system for receipt of nominations extended up to 31-07-2018 Submission of nominations for the year 2018-19 as per Rc.No:112. All the District Nodal ()flicers 11)E0s I in the state arc once again informed that the lust date for the teceipt 01 online nominations of Inspire As, ads - Man. - 2018-19 is on 31.07-2018 As on 17.07-2018 only 2179 nominations are registered ler Awards - Manak 2018-19 from Andhra Pradesh. Some of Districts not registered es/5 c nomination. V). Therefore all the District Nodal )1:()st in the mate am requester' to take necessary action to mobilize the Pr cad Musters to register imerionum number of nominations of students and iiiVirlein registered 4 to 5 nominations fmm each school before 31-07-201S. The highest pnn fmm each district is appreciated.